Feel like you are on vacation everyday in this elegant estate located in Arcadia proper! 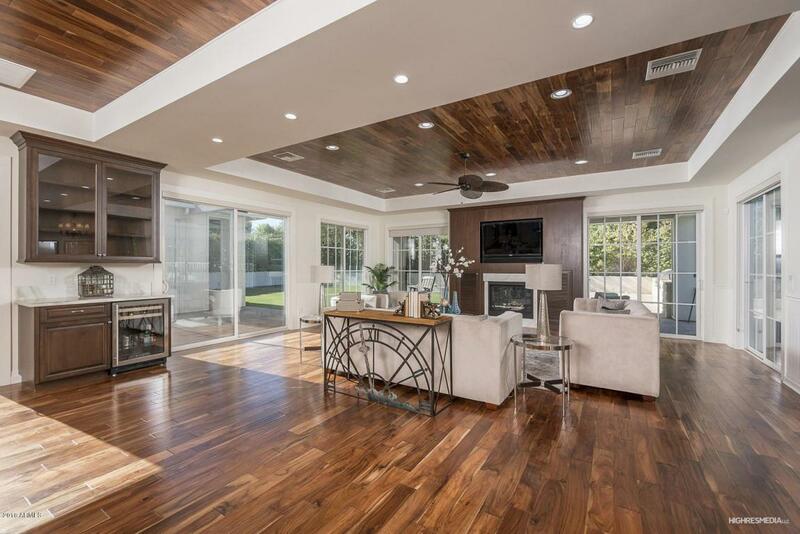 This 5 bed/4.5 bath PLUS a flex room features exotic hard wood floors & high ceilings throughout. 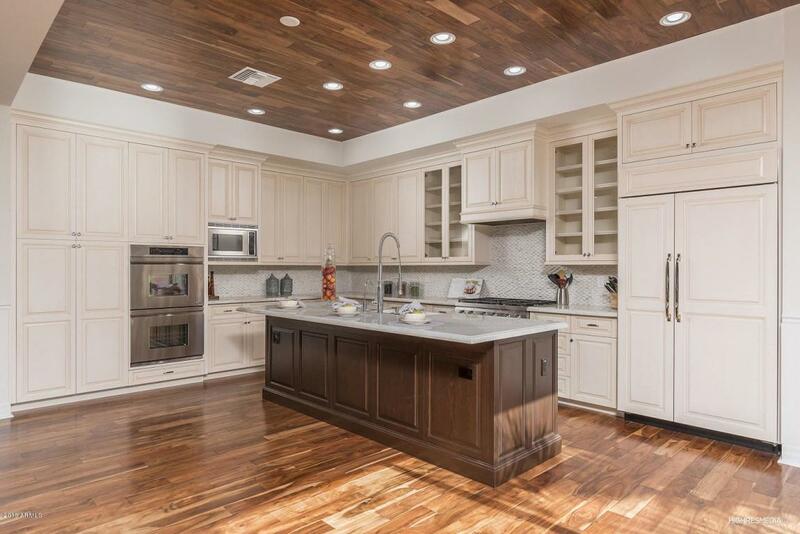 Chef's kitchen w/ beautiful marble counter tops, large kitchen island, Subzero & Dacor appliances, & opens to great room & wine bar perfect for entertaining. 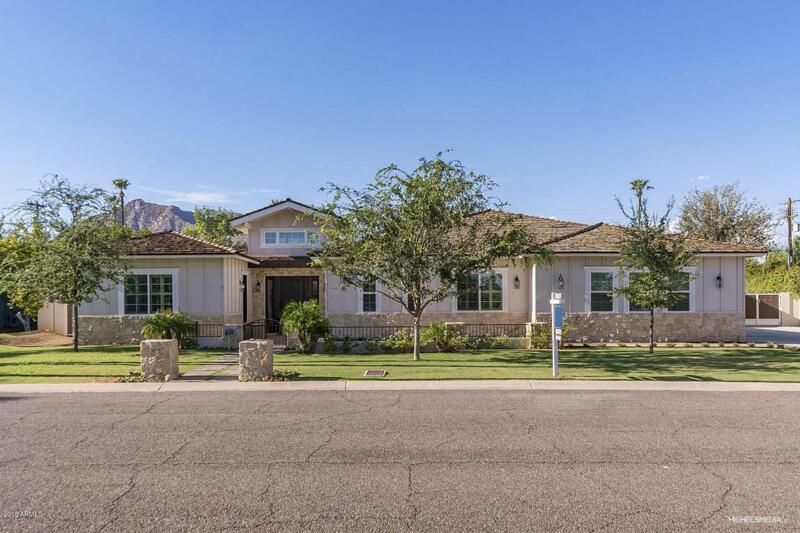 Light bright & open with glass doors that open to sweeping patio with built in BBQ, refreshing pool w/ large baja step for lounge chairs or to play. 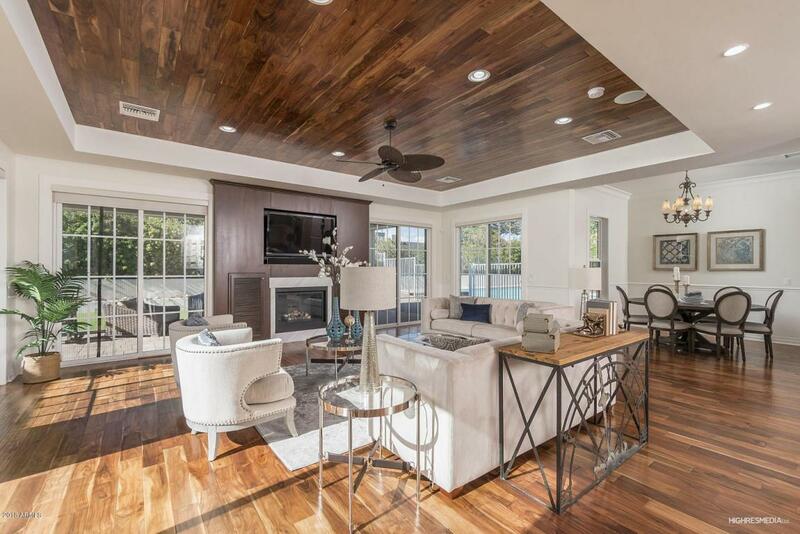 Tucked away luxurious master suite has private patio, double sinks & drop down vanity w/ beautiful marble counter tops, soaking tub, & large walk in shower with extensive imported tile & seashell floor. 5th bedroom is a great office with door going out to the courtyard.